The Pongal festival has begun early in Tamil Nadu with the releases of much-hyped Vijay's Jilla and Ajith Kumar's Veeram. The films have been released today (January 10) in India but saw the light of the day on Thursday in some foreign countries. For Vijay, it is the most important movie of his career, as his last movie Thalaivaa was marred with controversies over the release. The actor wants to erase those memories with a huge success through Jilla, which is not only expected by Tamil audience but also Malayalam cine-goers due to the presence of Mohanlal in the cast. 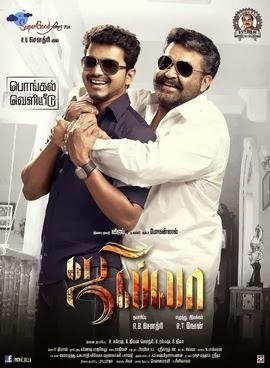 Jilla is an action movie directed by Nesan. Vijay, Mohanlal and Kajal Aggarwal are in the lead roles in the film produced by RB Choudhary on the prestigious banner Super Good Movies. The trailer, teasers and music had raised the expectations in the minds of audience on the film. They all looked promising and as a result, the movie is in huge demand. So, what the film has to offer? Has the film lived up to audience expectations? Early answer is here. Reports emerging from international circuit says that the film has won the hearts of Vijay fans. People, who have seen the film last evening, are praising the film Here, we are bringing you Jilla fans reviews based on Twitter response. Vijay looks so young, Opening song, pongal is here, not bored for even 5 minutes.